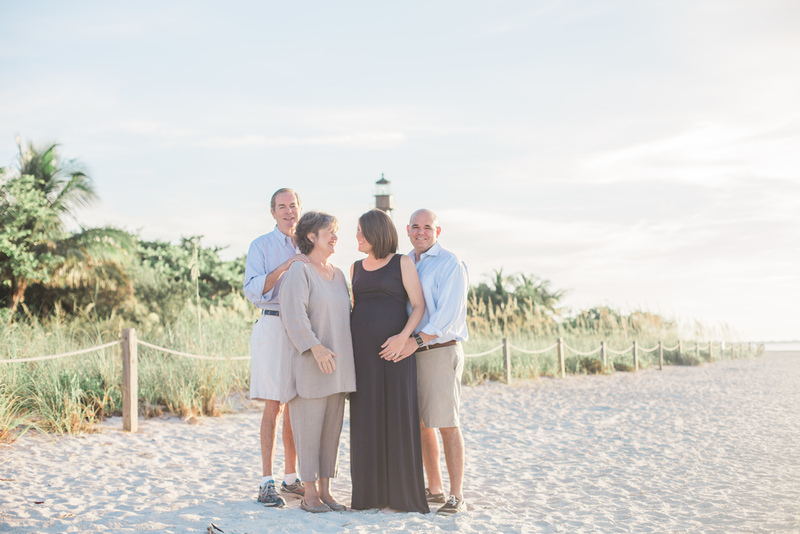 It's hard to imagine a lovelier maternity session than this one. I've known this stunning momma-to-be since she was in middle school and our families spend time together whenever we get the chance, so I was beyond honored when her mom asked if I would capture some sweet moments with their growing family while we were all home for the 4th of July (yes, we are lucky enough to call Sanibel Island home!). It was such a treat to just spend a quiet morning with them before baby arrives - and I loved that she convinced her somewhat camera-shy parents to join us to celebrate another fun addition to one of the sweetest families I know.